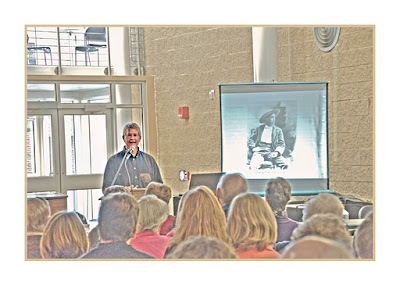 View Lecture for "A Civil War Shadow on the Life of Claus Clausen"
Dr. Keith Newlin is a professor of English at the University of North Carolina Wilmington. His biography of Garland (Hamlin Garland, A Life) was published in early 2008. Among his other books, he has edited or introduced four editions of Garland’s books, edited A Summer to Be, A Memoir by the Daughter of Hamlin Garland, and currently serves as co-editor of the scholarly journal Studies in American Naturalism. Professor Newlin will draw on reminiscences and archival illustrations to view Garland’s life through the eyes of his contemporaries. Many of these reminiscences will be presented to the public for the first time. Newlin’s presentation will begin with Hamlin’s brother’s recollections from their years in Mitchell County (1870 - 1881) and will conclude with reminiscences of Hamlin’s final year, when he was deeply involved in psychic investigation, seeking solace for his approaching death.